Calling all Canon owners (..and maybe some Sony), if you have missed out for some reason on owning the Canon EF 50mm f/1.8 II, then you could be in for a surprise from this inexpensive, widely used lens. It’s not surprising this little 50mm lens is so widely used, having been in the Canon lineup since 1990 and an updated version of the 1987 EF 50mm f/1.8 model which was supplied along with many Canon’s film 35mm EOS cameras. The Canon EF 50mm f/1.8 II is designed for the 35mm film format, but is most likely seen on an APS-C format or crop sensor DSLR due to its price point, where the focal length is more like an 80mm. There are clearly other 50mm lens offerings on the market, such as the higher end Canon EF 50mm f/1.4 USM and examples from third-party brands, but they also come with a much higher price tag. Considering all of the lens’ constituent parts, there’s almost no reason to not have one of these in your kit bag. 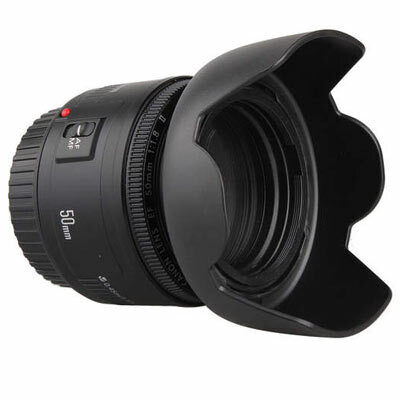 The basic make-up of the Canon EF 50mm f/1.8 II consists of a 50mm focal length or 80mm on an APS-C sensor body. 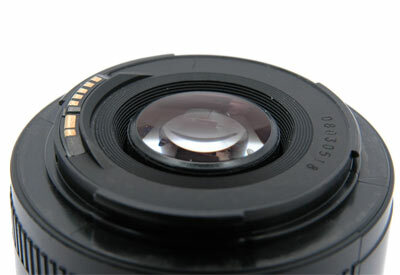 The aperture range is f/1.8-f/22, going through six elements in five groups, with five diaphragm blades and a 52mm filter thread. The AF motor is Canon’s DC Micro Motor and the whole lens weighs in at 130g(4.6 oz). There’s even a sweet little ES-62 hood if you really need it. Being the cheapest lens in the Canon range, there is no weather sealing here and the lens barrel feels like it couldn’t be more plastic-like if it tried. The ultralightweight and feel of the lens almost makes you wonder if there is just one piece of glass in there, but there is more than meets the eye here. Arguably, a prime lens is a simpler setup than a zoom, which means if you only have at your disposal kit zoom lenses, then you may also see a slight jump up in image quality. The lens is also as basic as you can get. There is just an auto and manual focus switch on the side of the lens and that’s about it. Compared to the EF 50mm f/1.4 USM lens which has full manual focus, a distance scale, dedicated bayonet fitting for a hood and feels far more substantial. The AF drive in the EF 50mm f/1.8 II is a DC micro motor, not the more expensive USM and in operation works more like a supplied kit lenses in speed and noise levels. The f/1.8 is one of the main reasons for owning this lens. Getting a pleasing background blur or bokeh is a desirable feature when a lens can get this wide open. As the lens has only five diaphragm blades, any highlights are more like pentagons than complete spheres, but this is really down to personal preference (you just can’t be too picky at this end of the market). Also, the corners can be a little soft when the lens is wide open, but this is easily remedied when you stop down then images become very sharp. This leads on to why the lens makes its way into so many kitbags. Okay, when wide-open corner of images can be ‘soft,’ but with plenty of background blur, this can be washed into the background at this level. If you want sharpness across the frame, then stopping down to f/4 is still in the ballpark of extremely usable. Having a lens for under $100 with f/1.8 which is still usable is one of the main draws. If you have never tried a prime lens before and just used a kit zoom lens, the EF 50mm f/1.8 II can be a fantastic practice tool. You can’t zoom, so you have to physically get nearer or farther away from your subject to frame them correctly. This isn’t a better or worse scenario than using a zoom lens, it’s just a different way of working and viewing the world. This results in you naturally framing your subject slightly differently than you would do with the zoom lens. How much the EF 50mm f/1.8 II costs is one of the primary deciders for owning one of these lenses. For just under $100 the lens has f/1.8, is reasonably fast and when stopped down a little gives great, sharp images. Obviously, a cheap price can’t be the only deciding factor if a lense’s optics are terrible. The EF 50mm f/1.8 II may not be on par with L lenses, but it’s always the consideration of what you are getting for your money that counts here. Whenever a caveat comes up with this lens it’s always considered with what you are getting for your money, which means you are usually more forgiving with the lens and except it for what it can do, rather than what it can’t. And that’s really the whole point. There are faster lenses on the market, sharper lenses with more functionality and even image stabilization, but it’s always about what you’re getting for your money with the EF 50mm f/1.8 II. The lens is also cheap enough so that if one breaks, your heart doesn’t sink that much to go out and get a replacement. It can even be used in those scenarios where you really wouldn’t want to use an expensive lens. For example, I had a friend who was taking photos of a ‘creative’ painter who just launched his paints around the room to create their canvas. Long story short, paint landed and got into his expensive 24-70mm L lens and that was the end of that. The result, never doing that again. But if he had the EF 50mm f/1.8 II stopped down, he could have still produced high-quality images, without losing a $1500+ lens or having the lens barrel multicolored for the rest of its usable life. Clearly, the optics on a 24-70mm L are far superior, producing better images, but you get the idea. In total, the reason why the EF 50mm f/1.8 II is so common is that it does a lot for the money. It’s an accessible way to own a prime lens at a standard focal length and a great start point lens. It’s also a great backup lens for the seasoned photographer or for those scenarios where you just want a different look. Maybe, the lens could be a great substitute when you don’t want to pull out your ridiculously expensive lens when you’re having all types of substances thrown at you.